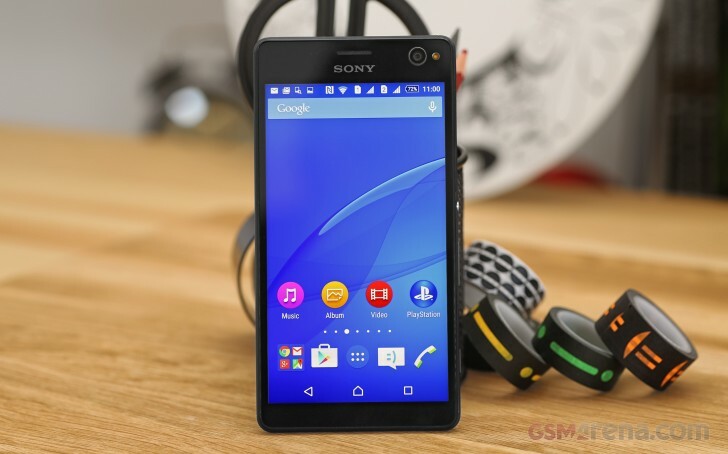 The Sony Xperia C4 is one odd member of the company's lineup. It's not very close to the flagship in terms of specs, yet it's ruling the phablet division with a 5.5-inch FullHD display. The T2 and T3 are both showing signs of age, not to mention they have less than half the pixels. Meanwhile the Z-series have been stuck at 5.2 inches for a while, leaving little options to those looking for a pixel-rich phablet. The Xperia C4 builds on the proven concept of the C3 with the same 5MP front camera with an LED flash to please the narcissistic folk and allow shooting in less than ideal conditions at that (the frowned upon flash selfie at the club a prime example). The Xperia C4 then goes on to add a few key improvements that position the smartphone firmly in the upper segment of the midrange. The 1080p display resolution is one we already mentioned, but there's also a higher count 13MP primary camera, for those that will buy the C4 not for the selfie capabilities. More importantly the new phablet now comes with a powerful Mediatek MT6752 chipset to replace the modest Snapdragon 410 and the octa-core Cortex-A53 processor should provide plenty of oomph. Both the 2GB of RAM and 16GB of storage are double those found inside the predecessor, and although neither is groundbreaking, they both state that the C4 means business, where the C3 had its mind set on play. Sony has also shaved a few millimeters off the smartphone's height and the C4 is now top among the entire lineup in terms of screen-to-body ratio, even if the engineers could have trimmed the top bezel a bit more. A little word of clarification - we have the dual-SIM version for review, but most of our findings apply equally to both, so we'll be dropping the Dual part of the name for most of the following pages. So, while the Xperia C3 was a simple affordable phablet, keen to shoot selfies at night, the C4 is a properly equipped midrange device where the flashy front camera is only one of its virtues. It's also the only viable option in Sony's camp if you want a high-res large-diagonal smartphone. It's interesting to see Sony going for such thin bezels on the C4, and not on the flagship Z-series after getting repeatedly bashed for its typically wasteful use of footprint. Apparently it can be done. We'll be looking at the Sony Xperia C4 in depth over the following pages, starting with unboxing and hardware overview. I want to switch on my Sony experia but the lid is not available can I do that or it can work while there is no back lid?